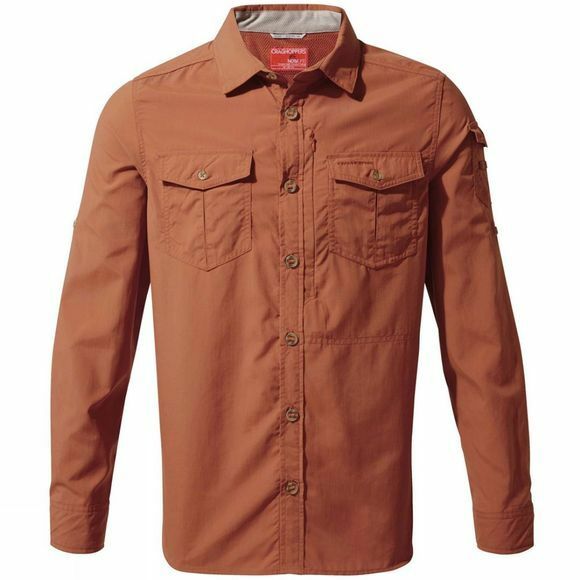 The Mens NosiLife Adventure II Long Sleeved Shirt from Craghoppers is the ultimate sun-protective adventure shirt that has legions of fans all over the world. NosiLife construction provides an effective weapon in the war against mosquitos, while the quick-drying, anti-odour action helps wearers stay cool and fresh when it’s hot and sticky. A tour-de-force in hot-climate travel.